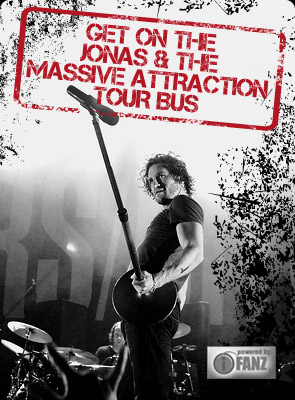 Jonas & The Massive Attraction have released their second radio single “Lifeline” from their 10th Anniversary album X and the song is getting amazing response, especially in Quebec where it’s already hit the Top 50 on the BDS charts! Jonas co-wrote “Lifeline” with Raine Maida from Our Lady Peace on a trip to L.A. and the song is mixed by Grammy Award winning producer David Bottrill (The Smashing Pumpkins/Muse). LISTEN to the new single “Lifeline”. ÉCOUTEZ notre nouvel extrait “Lifeline (version français)”. “Lifeline” is available now on iTunes BUY NOW. “Lifeline (v.f. )” sera enfin disponible sur iTunes dès jeudi le 15 octobre prochain ici ACHETER. X is available on iTunes BUY NOW or purchase your Cd copy of X at BUY NOW.